CERTIFIED, ONE OWNER, CLEAN CARFAX! RBM OF ATLANTA PEDIGREE VEHICLE. DIRECT FROM OUR COURTESY VEHICLE, WELL MAINTAINED. 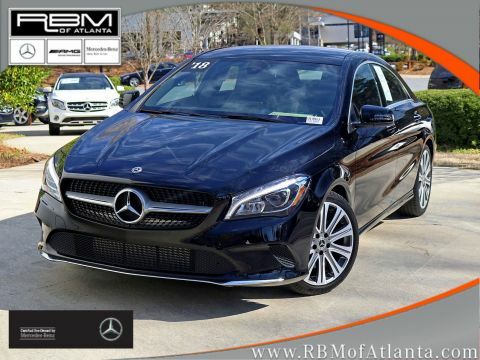 WHEELS: 18 5-SPOKE MULTI-SPOKE -inc: Tires: P225/40R18, WHEEL LOCKS, SMARTPHONE INTEGRATION -inc: Android Auto, Apple CarPlay, Smartphone Integration (14U), PREMIUM PACKAGE -inc: KEYLESS GO, Heated Front Seats, Blind Spot Assist, SiriusXM Satellite Radio, HANDS-FREE ACCESS, NIGHT BLACK, MATTE BLACK ASH WOOD TRIM, CRYSTAL GREY, MB-TEX LEATHERETTE SEAT TRIM, Window Grid Antenna, Wheels: 17 5-Spoke Alloy, Urethane Gear Shift Knob. 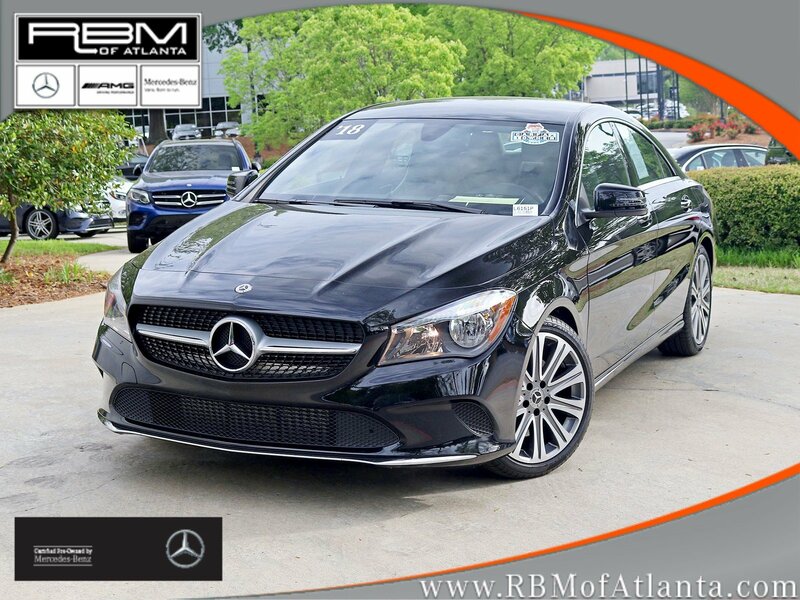 This Mercedes-Benz CLA has a dependable Intercooled Turbo Premium Unleaded I-4 2.0 L/121 engine powering this Automatic transmission. 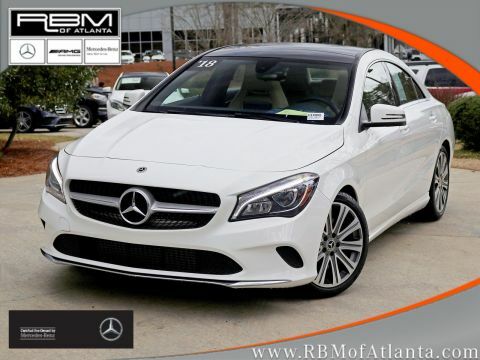 *This Mercedes-Benz CLA CLA 250 Has Everything You Want *Trunk Rear Cargo Access, Trip computer, Transmission: 7-Speed Dual Clutch (DCT), Transmission w/Driver Selectable Mode and Sequential Shift Control w/Steering Wheel Controls, Tracker System, Tires: P225/45R17 All Season, Tire Specific Low Tire Pressure Warning, Systems Monitor, Strut Front Suspension w/Coil Springs, Streaming Audio, Smart Device Integration, Side Impact Beams, Selective Service Internet Access, Remote Releases -Inc: Power Cargo Access, Remote Keyless Entry w/Integrated Key Transmitter, 4 Door Curb/Courtesy, Illuminated Entry and Panic Button, Redundant Digital Speedometer, Rear Fog Lamps, Rear Cupholder, Rain Detecting Variable Intermittent Wipers w/Heated Jets, Radio: Audio 20 CD w/Garmin Navigation Pre-Wiring -inc: media interface, 8 display and Bluetooth® connectivity, Single CD Player, 8 Color Display Upgrade. 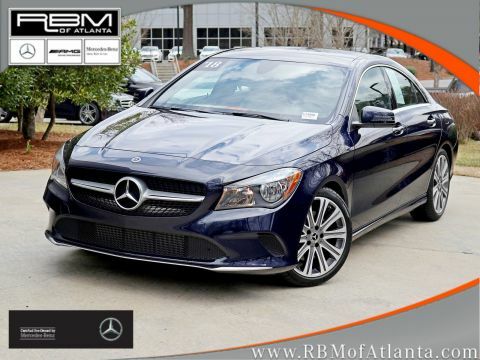 *Stop By Today *A short visit to RBM of Atlanta located at 7640 Roswell Road, Atlanta, GA 30350 can get you a reliable 2018 Mercedes-Benz CLA CLA 250 today!